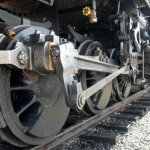 In high anticipation, we gathered at the Mount Rainier Scenic Railroad depot in Elbe, Washington for a ride on the longest continuously operating steam train in the Northwest. 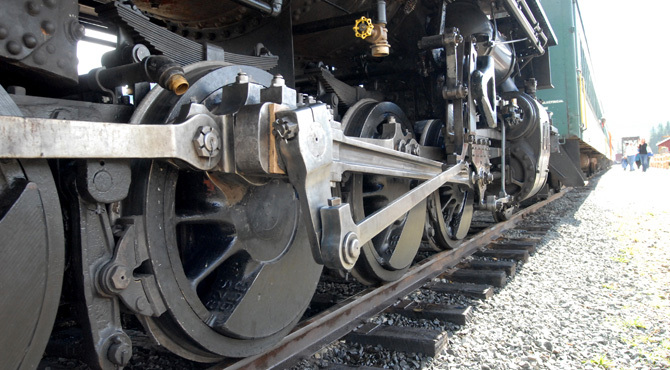 With a mournful whistle, a steam engine pulling four cars click-clacked its way toward us. The Mount Rainier Scenic Railroad is a big attraction at this tiny town, named by German immigrants for the Elbe River Valley in Germany. We had our choice of seating, and our family of six adults chose the last of four cars, which happened to have windows with no glass, the better choice to hang out to take pictures. Some cars had glass windows. We sat on bench seats; the car before us had tables, much like a dining car. 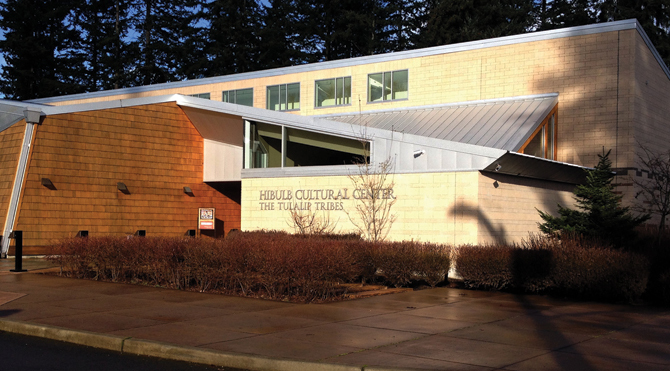 The Hibulb Cultural Center and Natural History Preserve is a fascinating museum on the Tulalip Indian Reservation adjacent to Marysville, Washington, 34 miles north of Seattle. Hibulb (pronounced Hee-bolb) is resplendent with tribal folklore, carving, weaving, knitting and sculpture. 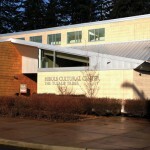 The center is named for the large village of Hibulb that was at the end of a bluff overlooking Puget Sound. Warriors who lived in longhouses at Hibulb protected their people from invasion of their territories. From Hibulb, they could see enemies approaching from a long distance and they would light a huge signal fire to warn the other villages and longhouses across the bay and up the Snohomish River.